Welcome To The Lighting Lab! 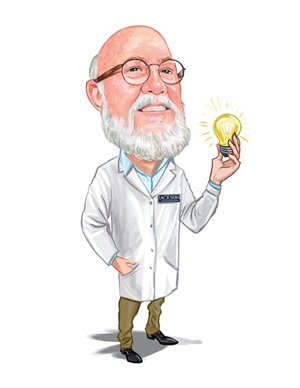 Hailing from Jacksonville, Professor Phil A. Ment has a lifetime of world experiences to draw from in his role as lighting aficionado at Jackson Lighting and Electric Supply. Having joined the BulbTown team in 2007, Phil has been honing his lighting skills for more than a decade. Professor Phil A. Ment's credentials include a Bachelor of Fine Arts degree from St. Leo University, he served in the U.S. Merchant Marine, served on an oceanographic research vessel and was a sommelier. Whenever Professor Phil isn't studying all things lighting, he enjoys camping, kayaking and spending time with family and friends.